The Vespa P125X was presented in 1977 at the Milan Motorcycle Exhibition as the Vespa “Nuova Linea” (New Line). 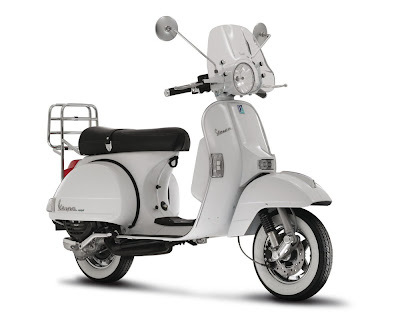 The P125X is the result of particularly successful and innovative restyling, which takes it into the 80s and makes a break with earlier models. 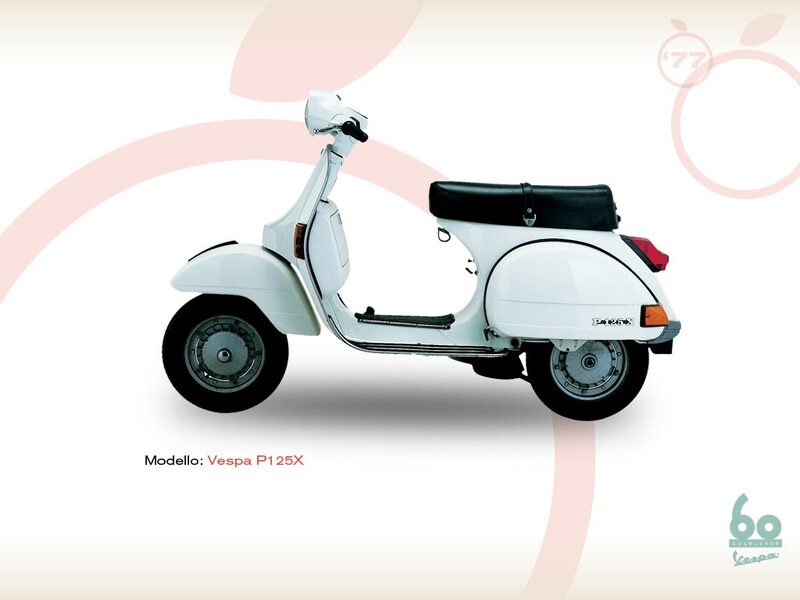 The Vespa P125X becomes the object of desire of the young, competing with the strongly demanded 125 motorcycles. Its square shape and larger dimensions make this vehicle seem more solid and tough, offering on the whole a better driving comfort. The storage is larger, and the foam polyurethane saddle is more comfortable. The handlebar displays a totally re-styled speedometer easily visible by night too. The front suspension is very innovative and efficient, and is characterized by a telescopic shock absorber fixed to the brake shoe holder and to the oscillating lever near the wheel pivot: this solution eliminates the unpleasant sinking during the braking. Furthermore, the front fender features a new styling that leaves space to the wheel suspension. The Vespa PX is one of the most successful models ever to be produced by Piaggio, as a matter of fact, despite its 27 years of age it is still in production with almost imperceptible aesthetical and mechanical changes. The model displayed in the Piaggio Museum has both front and rear blinkers, available starting from 1978 on the P125X and P200E models. 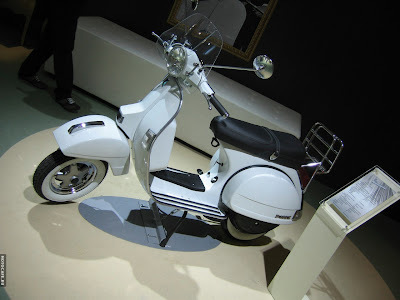 Piaggio design rhetoric style vehicles with some Italian artistic touch.Its all new Piaggio Vespa LX looks different but stylish.